I hate teambuilding. Once or twice a year i’m usually forced to spend a day or two with people from work who’s company i don’t enjoy or who i have no intention or will to get to know better. And it usually involves some kind of activity where the purpose is for everyone to make a fool of themselves in some capacity, absolutely dreadful… But then there is a more fun kind of teambuilding! 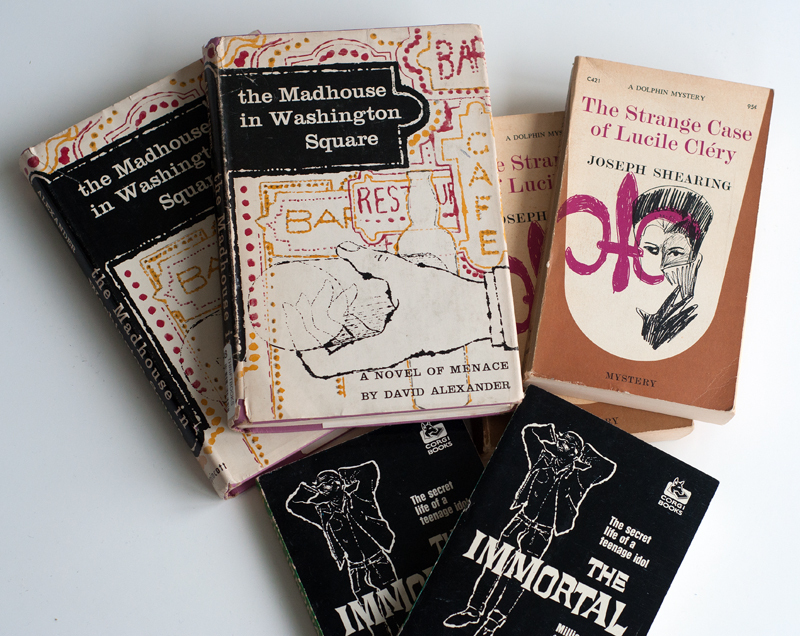 I’m also very curious as to what a complete collection of dust jackets would sell for at auction. I can’t remember now but i think i’ve seen at least two big collections of record covers sell for what in my opinion has been absolutely shocking prices but i’ve never seen anything like that when it comes to the books. The closest thing i’ve found is this listing for a collection of books and magazines with an asking price of $50.000. It’s not really what i’m looking for though since it does not have a couple of the rarest jackets but at the same time it has a lot of magazines, and i know almost nothing about those so it’s difficult to add it all up and weigh it for comparison. It’s also been available for quite some time so it’s obviously not something that has attracted a lot of attention. So who knows, since obsessively checking Amazon & Co. is now very deeply rooted in my system maybe i can manage to keep the steam up for a couple of years and end up with two complete collections and try and sell one and see what happens. I can’t say the spontaneous feeling is that this is very likely to happen, but who knows. Would be pretty cool. Besides the fact i just couldn’t resist these bargains the real reason i started picking up spare copies, doubles or whatever was that i figured i might eventually have enough of them to have something that at least packed a little bit of a punch in a hypothetical trade for The Butterfly Tree or The Summer Dancers which at the time were the only books i didn’t have. I also did try to offer two of them as partial payment for what at the time was the only copy of The Summer Dancers that i knew about, and that was to the guy who wrote the old article i posted about last year. He never got back to me though, but luckily things worked out anyways… If one wants to get picky i guess i have one or two books that could use an “upgrade” but i’m not too worried about that but unfortunately none of those are among these three. When it comes to this trio the copies i had were all in pretty good shape, and these new doubles are all in similar or, when it comes to The Strange Case of Lucile Cléry, in somewhat better shape.